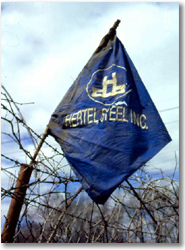 Hertel Steel Inc. has provided dependable, quality service to Upstate New York area contractors since 1964. We specialize in Fabrication of reinforcing bars for concrete. Hertel was a pioneer in the mainstreaming of Pre-Tied structure units in concrete construction. With over 75 years combined experience in our in house estimating and detailing division, Hertel Steel can guarantee a successful project.